a common thread running through my work. 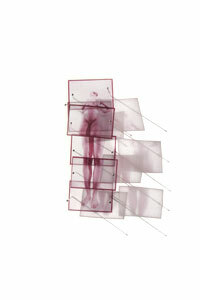 Six slides, each with a detail of a confident woman’s body, are put together to create a fragile and transparent image. Light, shining through the slides and projecting another image on the canvas, emphasizes the spacial impression of this piece.